If you’re an author who isn’t active on Twitter, you’re making a huge mistake, say savvy book-marketing gurus. You’re missing out on a megaphone that can help blast out your message and attract new readers. Your readers are wondering: Where are you? That’s the gospel according to Cindy Ratzlaff, a 20-year publishing veteran who designed the campaigns of more than 150 New York Times bestsellers and pioneered a strategy of treating authors and books as brands. I listened to Ratzlaff the other day on a webinar about Twitter for authors and publishers, sponsored by BookExpo. 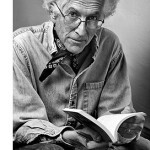 “Twitter has trained readers to expect instant access to their literary heroes,” Ratzlaff said. “They want to be your partners in promoting your book.” Authors who understand that communicate directly with their followers on Twitter, allowing them to experience a personal connection and behind-the-curtains look at the author’s life – and that creates brand evangelists, Ratzlaff said. Think of Twitter as a huge, noisy cocktail party, packed with publishing insiders, agents, editors, journalists, book bloggers, reviewers, your readers, potential new readers, other writers – just about everyone you’d ever want to connect with — there and waiting for you to drop in and mingle your heart out. That’s how Rusty Shelton sees it. He’s a branding and digital platform consultant for authors and publishers, who advises writers to think strategically about Twitter. 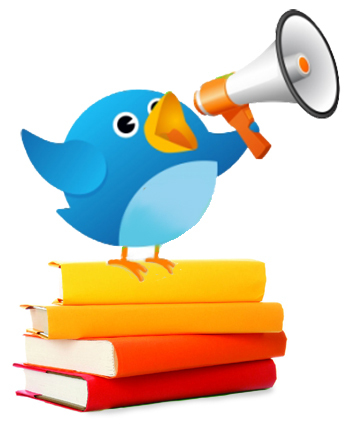 Big-time commercial publishers now consider Twitter a crucial element of book marketing. What’s more, they expect authors to go out there and tweet under their own names, not under the auspices of the publisher. Bestselling mega-authors Tim Ferriss, Margaret Atwood and Paulo Coelho are on Twitter. Self-publishing also requires it, even if you’re not the aggressive outgoing type but prefer to remain at home with only limited breaks away from writing. Self-published phenoms like Seth Godin, Amanda Hocking and Victorine E. Lieske are all at it. Given how precious time is to the hard-working author who may also have a day-job or kids to take care of, it’s important not to waste a lot of hours tweeting in the dark without a sense of how it works and a specific blueprint to sell your book. For a primer on starting from scratch, check out Twitter Basics. Here then, a roundup of strategies on tweeting for authors, from experts including Rusty Shelton, Cindy Ratzlaff and others. Even if you have more than one title to sell, your name is your brand and that’s what people should see on the screen. No other choices, just you. You don’t want to splinter your audience over multiple accounts. Get used to thinking of yourself as your own brand, and that everything you do is an extension of that. What are you trying to accomplish? No one wants to know what you had for breakfast, so send out only what’s valuable and helpful to others but also accomplishes your goal in some manner: primarily to sell your book, we assume. In some cases the book itself may not be ready, so you may just be building your social network and expanding your platform. A great thing about tweeting is you can focus on readers who are especially interested in your topic or story. You can find them by searching for book bloggers, also by following other authors in your genre or area of expertise to see who’s reading them. Use resources like Twellow, a yellow-pages style directory. Follow others. They may return the favor and follow you back. GalleyCat has compiled lists of book people to follow on Twitter, including reviewers, publishers, authors and agents. Organize those you follow into Twitter lists. Ratzlaff says the lists are her all-time favorite tool to “filter the noisy stream.” She recommends making lists of relevant users to follow by category, like book reviewers, journalists, and booksellers. By clicking on a list, you see just the updates of those in the culled group. Tweeting is like joining a backyard full of like-minded neighbors or a lively cocktail party. First just listen in for a while, don’t jump in intrusively. Then gradually add something that’s useful or entertaining to what’s on the collective minds participating at any given moment. Be helpful. Say something useful. Establish gratitude, altruism, reliability, and trust. Don’t talk about yourself or your book for a few weeks. Be patient. Never be negative. No one likes a grouch who seems full of himself. Never appear stubborn or inflexible. It’s OK to have a distinct personality. Yes, you can have an opinion, but keep it positive and upbeat. Begin to tweet your own ideas on your topic, your expertise and life experience in relation to that topic, or, if you’re writing fiction, a character, scene or situation you’re working on. Tweet about key concepts from the book. Link back to your other platforms, your website, blog, Facebook. After a decent interval, mention that you’re finishing the book, or may even have it up for sale. Link to a sample chapter or way to buy. It may sound counter-intuitive but please carve these two words in stone and keep the tablet over your keyboard whenever tweeting. Strategic and effective tweeting isn’t about pitching or promoting your work in any explicit or blatant manner. Ultimately, yes, you want to sell your book, but old-fashioned hard-sell advertising is not the proper etiquette or correct approach. This should be at the core of any author’s Twitter strategy. When you retweet, you keep the conversation going and point out something interesting to your own followers by reposting another’s tweet. Retweeting also gives you an opportunity to add a few words of commentary or expertise to the retweet. Here’s one way to do that. If your followers deem your missives worthy of retweeting – think original, funny, timely, informative – then even if you only have a small following on Twitter, the megaphone effect of retweets can help spread your links and articles to millions of other people on Twitter. For more detail, check out this link on the beauty of retweeting. Put it after your email signature, feature on your website and blog, put it on the back of your book. It’s an important part of your brand, your total identity, who you are in this brave new world. Strategic tweeting takes time and patience. You may not see an immediate spike in sales or in your own list of followers. Think long term. Ready? OK. 3,2,1, start tweeting. And please share your own tips and techniques. I have a book coming out in February and I thought it was too soon to start tweeting….um…I have some catching up to do! thank you Alan…I am a published author (memoir 2010) and my debut novel is about to be published. And yet, I have baulked at social networking. You have inspired me to START today! It looks like I’m late to the party with a comment but just got turned onto it. As a big Twitter follower and obsessed tweeter I found this article right on the money. Take the advice. The world is alive in social media. These words about Twitter hit the bulls-eye. Just found your blog, Alan, and will be consulting it frequently. My agent via a couple potential publishers for me have recommended the ebook self-publishing route. I’ve actually found a great designer who is doing the cover and formatting for a percentage of hoped-for profits. Just starting the blog, facebook, tweeter avenues. Loved your post. So informative,especially for those of us just getting started. With Twitter I feel like I’ve been invited to a party but I don’t know what to wear or how to converse with the guests without making a huge blooper. Once I open my mouth world wide-there, there is no take back. Leaves little room for error, but I am ready to dive right in there! Great reference piece! I keep coming back, rereading, and trying something new from the article, so I thought it was time to say “thanks!” The Twellow service looks to be a good addition for the up-and-coming tweeter. Trying that next! So true–all of this. When I finally got active on Twitter, I found a pile of mentions about me I hadn’t known about or responded to. What a waste. I try to personally check out sites and posts that I think will be beneficial to others and then RT with a positive recommendation. People seem to like it! Now that I’ve read this post as well Alan! I, like the others, bookmark this for future reference! I find I can get too distracted with Twitter, Facebook and my blog. I think it’s about balancing them all and assigning a certain amount of time to each. Thanks for the great advice! I’ve been on Twitter for a couple of years now, but have a bit of fragmented Twitter existence. I’ve got THREE separate accounts—one that’s my real name that I rarely use, one with a seasonal theme, and the other that I use primarily; but they all have my name displayed. You suggest not fragmenting my audience or my brand. It makes perfect sense NOW. Do you have any suggestions for rolling the three into one? During your inspiring presentation at Elliott Bay Books in Seattle (at the old location in Pioneer Square) you pointed out a woman in the audience who had made her main character connect with an agent on Twitter. Meanwhile we’re a few years further down the line. My question: has that fresh approach fallen by the wayside? I always enjoy your blog posts, it’s wonderful to get advice from someone who’s so totally familiar with the business and in on the New Media developments as well. This said, I looked in vain for the “share” gadget which would allow me to tweet a link to this post as dutchessabroad. Am I looking in the wrong place? Alan, I’ve read this several times and I’m still frightened to start, but it sounds like I need to. Thank you for the well researched information. Funny, I was just having lunch with an old friend today, and we were talking about the Writer’s Paradox: if you do all the Tweeting, Facebooking, blogging, Skyping, and Book Clubbing you’re supposed to do, you don’t have any time to Write! I find that when I’m in the middle of writing a book, I can’t talk about it (and that includes Twitter). As pub date gets closer, though, I know it will be fun to talk about my book. I’ve also found that I Tweet and Facebook a lot when I’m on the road, but not so much when I’m at home. It’s not free time, but having something interesting (to me) to Tweet about…. This is a fantastic post, Alan. Many try to wrap their arms around twitter with advice, but this is a foundational post on the approach for authors and writers. Well done! Heading over to twitter now to tweet the link. Thank you! Your tweets of these posts are much appreciated! I’ll get started on Twitter myself one of these days, ahem ahem…and in the meantime, I’m grateful to tweets like yours pointing the way for new readers. Hi Alan, I’m still trying to find you on Twitter! I tweet most of your blog posts and think they are brilliant – but I want to credit you for them. Are you going to join the #publishing tweeters? God, yes–PLEASE stop telling us every time you finish revising a chapter. As a reader, I really don’t care. I want to see the finished product. Your “Have specific goals” section misses the point, in my humble opinion. Social Media is about being social. Including run of the mill life stuff makes people see real. I don’t want to be ‘Social’ with someone who is all goal oriented, or schedules their tweets, or says in their bio “Follow me and I will follow you”. Use the 140 characters to be clever, even about the daily stuff. Such a helpful post, Alan. You’re so right – if you’re an author and you’re not on Twitter, you’re missing a lot of opportunities. And if you’re a book author who’s not blogging, you’re really missing out. Blogging and Twitter work so well together to build community around whatever you’re promoting. Twitter is a natural extension of blogging. I’m so glad I “got” that well before I started writing and just recently launched my first ebook. Leveraging blogging and Twitter helped me with pre- and post-launch, and promoting the ebook (and my brand) in ways I couldn’t have otherwise. And both have made it all so much fun! I’ve loved blogging for several years, so of course I love Twitter too. “Don’t sell” is great advice, but it’s hard to hold back sometimes. I think we naturally want to wave our hand around and speak up about it whenever it can be inserted into conversation. Hey, thanks so much for linking to my “Beauty of a Retweet” post. Much obliged! Thanks for your tremendous help teaching me and so many book authors, editors, and marketing folks the importance of Twitter. You’ve been generous with your knowledge and experience, true to your principles of helping others, and way ahead of the curve on the concept of branding and brand extension for authors and books. The post links to the archived webinar for anyone who might be interested in listening to the whole thing. There’s a fee, but well worth it, especially for newbies. Thank you, Alan, for the great summary of our Twitter webinar and for the additional tips. Authors, agents, publishers, publicists and yes, editors, can all help more readers find great books through Twitter. Another excellent example of an author using Twitter to drive sales is Gary Vaynerchuk, @GaryVee on Twitter. He’ll exhaust you with his energy but inspire you with his ingenuity. Because I’m an author and a Twitter advocate, I invite you to connect with my on Twitter as well at http://Twitter.com/BrandYou Now, I’m off to tweet about this article. This is a great article! I love Twitter. I actually searched for your name over there a while back, but, alas, you were nowhere to be found. :( A few hours ago, I was reading through tweets of people I follow and was picking up so much great information, I turned around and tweeted: “I must say, I follow the most interesting people on Twitter. Reading my Twitter feed tonight, I feel like I’m reading a newspaper/magazine.” I follow quite a few people in the publishing industry: authors, publishers, literary agents, and funny people like the hilarious Emperor Franzen. I also follow many scientists and science organizations because their topics interest me and I’m currently writing sci fi. I follow NASA, a few astronauts (it is so cool to read tweets from astronauts when they’re in outer space! ), and Theoretical Physicist Michio Kaku michiokaku who talks about space and time travel. I’m also a “news junkie”, so I follow many news organizations on Twitter – for breaking news, stories usually appear on Twitter way before they ever appear on TV. During the beginning of the nuclear reactor crisis in Japan, a constant stream of breaking news came over Twitter feeds from news organizations and reporters, and I retweeted a great deal of that information. A few people tweeted me about it, and we talked a bit – it felt like the whole world was watching Japan. I notice editors typically have tons of followers, but follow very few people. Still, I follow editors to learn and keep current with their thinking. This is all wonderful advice! Thank you. I first joined twitter for the love of a cute guy on a motorcycle! I’m a big “American Chopper” fan, and Paul Jr Designs was not on facebook (my addiction) but he was on twitter! So I dove in, and found that it had both similarities and differences from facebook. I like both. Then I started writing seriously, with the intention of finding an agent and publisher. The agency I liked (Nelson Literary in Denver, Colorado) had a great FAQ for writers like me, a blog, and several agents and authors on twitter. Suddenly my twitterverse expanded exponentially, and I was inundated with very good information from places like Writers Digest, and I developed friendships with other writers, both published and not. This is a great article! I highly recommend that all writers, especially those who are as yet unpublished, establish a presence not just on twitter but on facebook and the blogging community as well. What an excellent summary. I’m going to bookmark this so I can follow those links. I only joined the Twitterverse a few weeks ago and can’t believe I didn’t do it sooner – I’m focused on the whole “future book” area and get at least 3 or 4 really good thought-starters per day from Twitter. (I thought it was just about what Ashton Kutcher had for breakfast.) I’m also badgering the authors I work with to get tweeting, now, and don’t wait till they are published. Wonderful tips and strategies. I am an editor and I try to use these myself. Want to practice what I preach. I’ve found some of the best writing articles, blogs, and tips through Twitter. In fact, I think I’ll tweet this blog post!